Counterfeiting is a global industry in its own right and affects most brands and products within, and outside of the EU. International trade in counterfeit goods is estimated to make up approximately 2.5% of all global commerce, worth approximately USD500 billion. China has long been recognised as the market leader of the international counterfeiting industry, with counterfeit goods now estimated at representing over 1.5% of its GDP. Over 50% of fake products in circulation in the EU and US are believed to have been exported from China. Several transit countries are also known to contribute high levels of Chinese-made counterfeit goods to the global problem. The continued growth of this underground mirror economy is perhaps not helped by the fact that legal punishment for intellectual property rights (IPR) related crime is considered inadequate in many countries. Counterfeiting generally replicates commercially successful products, damaging the profitability of genuine brand owners, and indirectly impacting their growth opportunities. Equally as important as the negative financial impact to the economy is the welfare of the end consumer, who is at risk when purchasing goods and products which have not been subjected to strict manufacturing quality controls. Particular key industries severely affected by health risks are pharmaceuticals and tobacco. The vast majority of counterfeit products arrive at the EU’s external borders from countries in Asia, via sea, air or land routes. Imported goods typically arrive at the major seaports of entry in the EU, and are then transported via other Member States to their final consolidation location, or reshipped to other countries in the EU. Shipments from EU Member States are at a lower risk of interception than goods from outside the EU. Traditionally, counterfeit goods smuggled to and intended for distribution in the EU are typically moved in large volumes using shipping containers. Enforcement statistics for goods seized in the EU having arrived by shipping container are a clear indication of the significant production capabilities in Asia. Arriving at seaports with roll-on, roll-off terminals, or airports (by air freight as postal shipments), goods then continue to be transported by road, some crossing EU land borders. Free Trade Zones (FTZs) play an intrinsic role in the facilitation of global logistics connected to illicit trade. 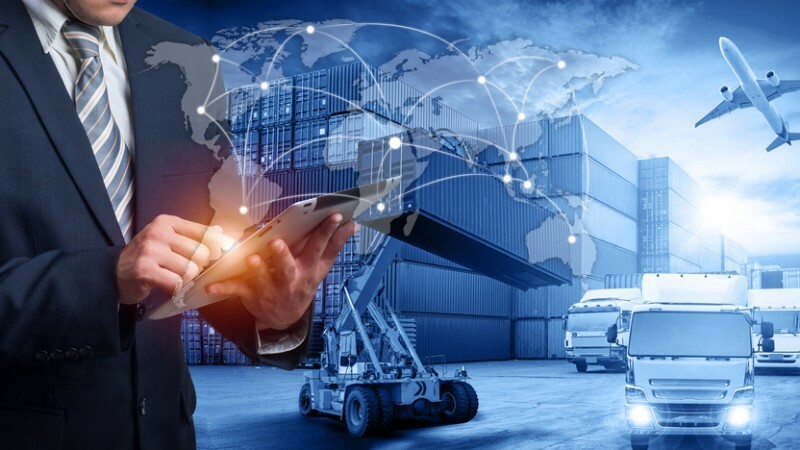 Created by governments to stimulate trade, attract investment and generate employment, FTZs facilitate transit and transhipment operations in international trade, offering warehousing, storage and distribution facilities without any requirement to pay national duties and taxes. Globally there are over 3,000 free zones and special economic zones, with more currently in development. FTZs do not just service maritime traffic; many are located at international airports and at national frontiers from which goods can be transported overland. FTZs are known to enable illicit activity in counterfeit goods as they allow traffickers the opportunity and capacity to land illegal consignments, manipulate official documentation, or reload shipments. After disguising the provenance of the consignment, and the identity of the original supplier, the goods can be re-exported without customs intervention. Organised Criminal Groups (OCGs) are exploiting these weaknesses to facilitate and conceal their activities in illicit trade. The World Customs Organization (WCO) reports that Dubai’s Jebel Ali Free Zone is one of the world’s worst-offending centres for the transhipment of counterfeit consumer goods. Counterfeiters are transhipping goods through free zones in a bid to stay one step ahead of customs authorities, which check a higher proportion of shipments entering ports from countries deemed suspicious. Attached to one of the Middle East’s busiest shipping ports, Jebel Ali is probably the oldest and largest FTZ. Some of the most prolific consumer products transhipping through FTZs include counterfeit pharmaceuticals and tobacco, products which Jebel Ali is no stranger to. It is estimated that the UAE has around 20 cigarette factories, many of which are based in the Jebel Ali FTZ. In the past, customs officials have closed factories found to be producing counterfeit cigarettes that infringe on the trademark rights of legitimate brands. However, even where genuine products are made there can still be illegal activity when legitimate cigarettes are sold to smugglers, who then ship the tobacco to other countries with the aim of evading import tax and sales duties. The UAE, and more specifically Dubai, have been highlighted as weak links in the illicit tobacco supply chain. In 2014, a federal law came into effect that outlawed tobacco production in the UAE and has given existing manufacturers a ten-year grace period to comply. One of the biggest challenges Dubai officials face is that Jebel Ali is specifically targeted by organised crime seeking to take advantage of the port’s huge size to evade detection. The extent of the threat should not be underestimated, with officials describing some FTZs as descending towards lawless territories, such is the lack of oversight and the extent of criminal influence. That is not to say that local law enforcement agencies are not being proactive in the fight against illicit trade and intellectual property infringement. Dubai customs were responsible for securing a judgment which imposed probably the largest-ever fine in Dubai in a trademark complaint. Customs decided to seize and destroy more than 920 master cases of counterfeit cigarettes imported through Jebel Ali port, and also fined the importer 1.7 million dirhams (USD462,811). While FTZs are an important part of global trade, a balance has not yet perhaps been found between facilitating trade and ensuring security. The limited enforcement power within FTZs remains especially challenging, and the problem of regulating activities in FTZs stems largely from an absence of harmonised enforcement standards. In certain Member States, authorities still lack adequate powers to effectively tackle counterfeiting. Only a small number of IPR-related incidents involving FTZs have resulted in judicial enforcement, despite widespread infringements and transhipments of infringing goods being suspected in FTZs. BTG Advisory works with global brand owners across a number of diverse sectors including pharmaceuticals, tobacco, fashion, electronics and retail. Our experienced intelligence consultants and analysts work closely with our clients’ in-house IP and anti-illicit trade specialists in order to combat infringement of their brand portfolio. We adopt a multidisciplinary approach to tackling infringement, which includes forensic technology methods to monitor and capture illicit online activity, and physical surveillance deployment to collate visual evidence of rogue operations.